I discovered a new mac and cheese! 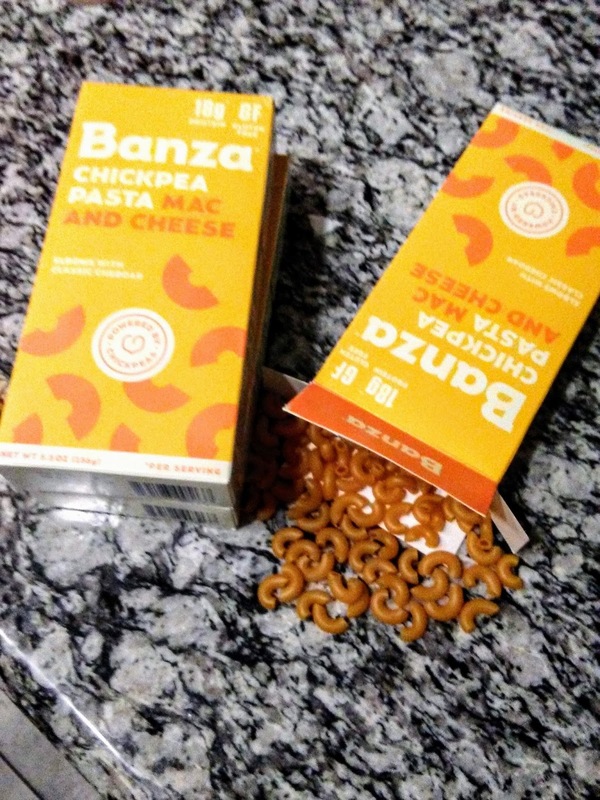 Banza mac and cheese is made from chick peas and is way healthier than regular pasta, just don't tell my boys. 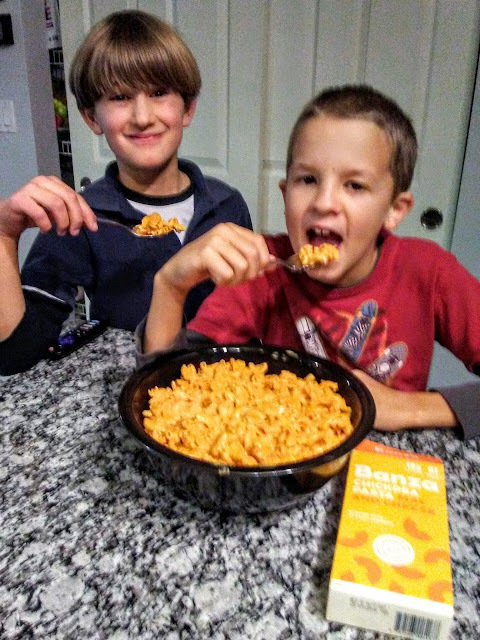 My boys don't need to know that this pasta has 25 grams of protein, 13 grams of fiber, and 43 grams of carbs all they need to know that it tastes delicious. Banza sent me several boxes of their delicious mac and cheese so I could share with friends. I made a big batch to bring to my Friday home team. My boys, of course, had to be my taste testers. 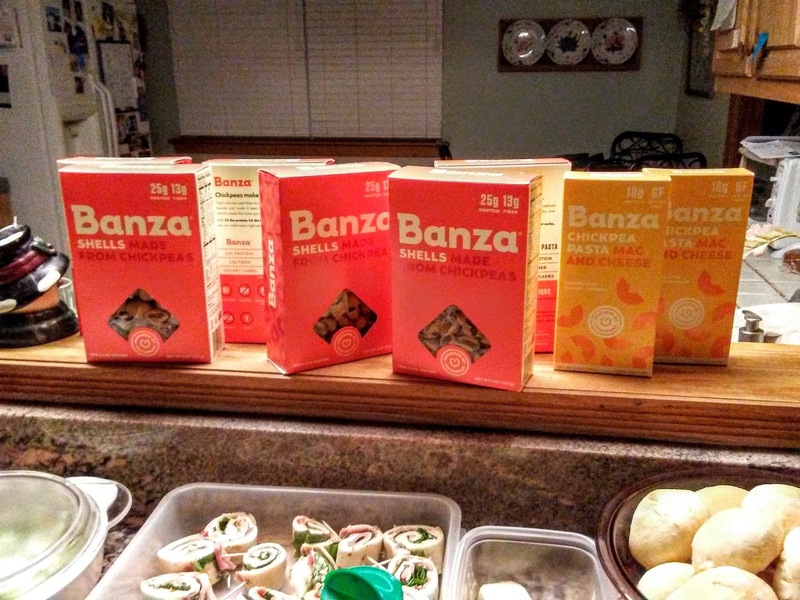 "These opinions are my own and I received products from Banza and Tryazon to facilitate this post and party."